With over 1200 miles of beaches, Florida is a boater's paradise. But beware. A little afternoon sunshine and the smell of alcohol on your breath can land you in the hoosegow. As with Driving Under the Influence (DUI), Boating Under the Influence (BUI) is a serious crime in the Sunshine State. BUI arrests may be made by the Coast Guard, city police, or Fish and Wildlife officers. Regardless of the arresting agency, the case will be heard in the County Court where the alleged offense occurred. Boating Under the Influence is punishable by a fine of up to $500 and incarceration of up to 6 months for a first conviction. For a second conviction, a boater can be fined up to $1,000 and imprisoned up to 9 months. A third conviction within ten years can be punished by a fine up to $2,500 and a jail sentence of up to one year. If the boater causes serious injury or death while boating under the influence, the operator has committed a felony. Much like the DUI law, a boater who operates any vessel on Florida waters, has automatically consented to be tested for the presence of alcohol, drugs or other intoxicating substances if requested by a peace officer. Refusal to submit to testing is punishable by a civil penalty of $500 and is also a crime if you have ever been fined for a previous refusal. 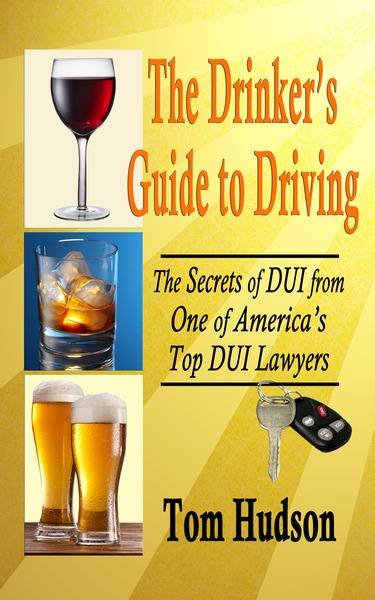 But also like the DUI law, there is no requirement that you consent to field sobriety tests by the authorities. Often it is simply wisest to invoke your right to remain silent and your right to an attorney, rather than to provide evidence which they will use to try to convict you. In fact, there are no field sobriety tests which have ever been validated for use in boating situations. The pitching and rolling of a boat's deck, and a boater's "sea legs" may prevent any accepted test from being more useful than the officer's educated guess about the sobriety of the boater. It is unlawful for a person under 21 years of age who has any measurable blood alcohol concentration (0.02 or higher) to operate a vessel. If convicted, those under 21 years of age will be required to complete 50 hours of public service, attend and successfully complete an approved boater education course (even if one has been completed previously), and will lose his or her operating privilege until the public service is completed. In addition to the above penalties, BUI can result in mandatory education, community service, court costs and impoundment of the vessel. The actual Florida BUI statute, Section 327.35 of the Florida Statutes, is below. 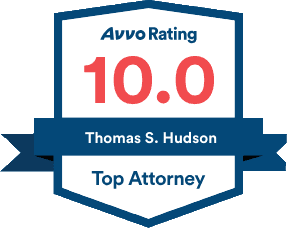 So if you're going out for an afternoon on the waves, be smart and take a designated driver, and if you should be stopped, remember the Hudson Law Office. 3. Any person who is convicted of a fourth or subsequent violation of this section, regardless of when any prior conviction for a violation of this section occurred, commits a felony of the third degree, punishable as provided in s. 775.082, s. 775.083, or s. 775.084.However, the fine imposed for such fourth or subsequent violation may not be less than $2,000. (II) The person failed to give information and render aid as required by s. 327.30.This sub-subparagraph does not require that the person knew that the accident resulted in injury or death. (a) By a fine of:1. Not less than $1,000 or more than $2,000 for a first conviction.2. Not less than $2,000 or more than $4,000 for a second conviction.3. Not less than $4,000 for a third or subsequent conviction. (b) By imprisonment for:1. Not more than 9 months for a first conviction.2. Not more than 12 months for a second conviction. (a) For the first conviction, the court shall place the defendant on probation for a period not to exceed 1 year and, as a condition of such probation, shall order the defendant to participate in public service or a community work project for a minimum of 50 hours. The court must also, as a condition of probation, order the impoundment or immobilization of the vessel that was operated by or in the actual control of the defendant or any one vehicle registered in the defendant's name at the time of impoundment or immobilization, for a period of 10 days or for the unexpired term of any lease or rental agreement that expires within 10 days. The impoundment or immobilization must not occur concurrently with the incarceration of the defendant. The impoundment or immobilization order may be dismissed in accordance with paragraph (e) or paragraph (f). The total period of probation and incarceration may not exceed 1 year. (b) For the second conviction for an offense that occurs within a period of 5 years after the date of a prior conviction for violation of this section, the court shall order imprisonment for not less than 10 days. The court must also, as a condition of probation, order the impoundment or immobilization of the vessel that was operated by or in the actual control of the defendant or any one vehicle registered in the defendant's name at the time of impoundment or immobilization, for a period of 30 days or for the unexpired term of any lease or rental agreement that expires within 30 days. The impoundment or immobilization must not occur concurrently with the incarceration of the defendant. The impoundment or immobilization order may be dismissed in accordance with paragraph (e) or paragraph (f). At least 48 hours of confinement must be consecutive. (c) For the third or subsequent conviction for an offense that occurs within a period of 10 years after the date of a prior conviction for violation of this section, the court shall order imprisonment for not less than 30 days. The court must also, as a condition of probation, order the impoundment or immobilization of the vessel that was operated by or in the actual control of the defendant or any one vehicle registered in the defendant's name at the time of impoundment or immobilization, for a period of 90 days or for the unexpired term of any lease or rental agreement that expires within 90 days. The impoundment or immobilization must not occur concurrently with the incarceration of the defendant. The impoundment or immobilization order may be dismissed in accordance with paragraph (e) or paragraph (f). At least 48 hours of confinement must be consecutive. (e) A person who owns but was not operating the vessel when the offense occurred may submit to the court a police report indicating that the vessel was stolen at the time of the offense or documentation of having purchased the vessel after the offense was committed from an entity other than the defendant or the defendant's agent. If the court finds that the vessel was stolen or that the sale was not made to circumvent the order and allow the defendant continued access to the vessel, the order must be dismissed and the owner of the vessel will incur no costs. If the court denies the request to dismiss the order of impoundment or immobilization, the petitioner may request an evidentiary hearing. (f) A person who owns but was not operating the vessel when the offense occurred, and whose vessel was stolen or who purchased the vessel after the offense was committed directly from the defendant or the defendant's agent, may request an evidentiary hearing to determine whether the impoundment or immobilization should occur. If the court finds that either the vessel was stolen or the purchase was made without knowledge of the offense, that the purchaser had no relationship to the defendant other than through the transaction, and that such purchase would not circumvent the order and allow the defendant continued access to the vessel, the order must be dismissed and the owner of the vessel will incur no costs. (i) A defendant, in the court's discretion, may be required to serve all or any portion of a term of imprisonment to which the defendant has been sentenced pursuant to this section in a residential alcoholism treatment program or a residential drug abuse treatment program. Any time spent in such a program must be credited by the court toward the term of imprisonment.For the purposes of this section, any conviction for a violation of s. 316.193, a previous conviction for the violation of former s. 316.1931, former s. 860.01, or former s. 316.028, or a previous conviction outside this state for driving under the influence, driving while intoxicated, driving with an unlawful blood-alcohol level, driving with an unlawful breath-alcohol level, or any other similar alcohol-related or drug-related traffic offense, is also considered a previous conviction for violation of this section. History.—s. 2, ch. 59-400; s. 5, ch. 63-105; s. 1, ch. 65-361; s. 1, ch. 71-81; s. 22, ch. 73-331; s. 5, ch. 83-187; s. 7, ch. 84-188; s. 7, ch. 91-255; s. 8, ch. 93-124; s. 456, ch. 95-148; s. 19, ch. 96-330; s. 98, ch. 97-264; s. 49, ch. 97-271; s. 10, ch. 98-308; s. 14, ch. 98-324; s. 47, ch. 2000-152; s. 11, ch. 2000-320; s. 28, ch. 2001-122; s. 4, ch. 2002-78; s. 6, ch. 2002-263; s. 35, ch. 2008-111; s. 7, ch. 2009-86; s. 6, ch. 2010-161.Note.—Former s. 371.51.